Garrison Point at 30 Ordnance Street, Toronto, is the first phase of an exciting master planned community. 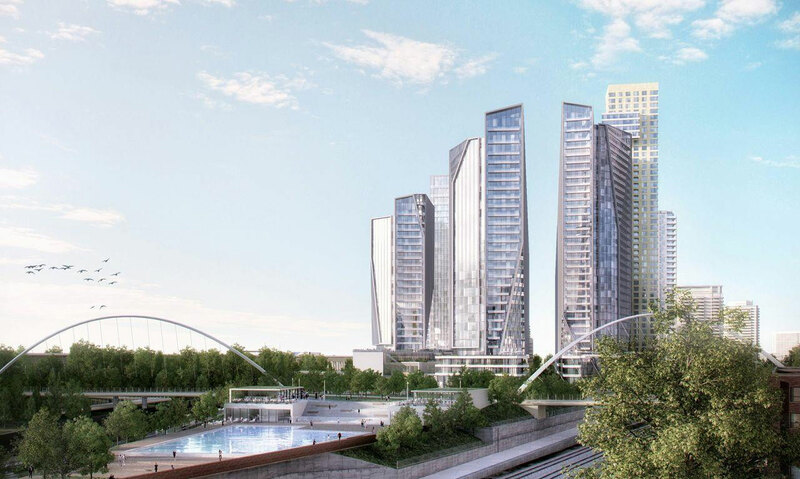 With unsurpassed views of the downtown Toronto and Lake Ontario, Garrison Point condos two distinct elegant towers will include exceptional amenities and townhomes facing the park. Condos, Towns, Parks, Shops and More! Garrison Point condos at https://www.google.com/maps/place/Garrison+Crossing/@43.6396124,-79.4111549,17z/data=!4m8!1m2!2m1!1sGarrison+Point+30+Ordnance+Street,+Toronto!3m4!1s0x0:0x142b42affa35fdc4!8m2!3d43.6396183!4d-79.4078708, is the first phase of an exciting master planned community featuring condos and towns located just east of Liberty Village. This 1.6 acre site will form the initial phase of an overall 7.6 acre triangular-shaped site bounded by the CP/GO Transit Georgetown rail line to the north and CN/GO Transit Lakeshore rail line to the south. The Point is a lot of things. It’s a place to live. A place to play. It’s a place to hang with old friends and make new ones. It’s a place to get in shape and it’s a place to cool off on a hot summer day. Stylish condominium living is a big part of it, sure. But so are parks, pools, local shops and even a proposed fitness centre. This is more than just your average development — Garrison Point is a real community, designed for real life. So whether you’re looking for a hip bachelor pad or a place to raise your family, life is just better when you get to The Point. At Garrison Point, we understand why you make the city your home. It’s about the people. It’s about the unmistakeable urban energy — that exciting lifestyle that you simply can’t get anywhere else. Featuring townhomes, condominiums, a proposed fitness centre, pools, parks, shops and more, Garrison Point is an organic neighbourhood that incorporates all the best that city life has to offer. And with an ideal location right in the heart of one of Toronto’s most vibrant neighbourhoods, there’s no point in even trying to find a better urban address. No matter what it is that you love about life in Toronto, you’re sure to find it at Garrison Point. The Garrison neighbourhood features shops, parks, pools, pedestrian/cycling paths and more. And the surrounding area features some of the hottest destinations in Toronto — the trendy shops of nearby Queen West, the clubs & restaurants of King West, the über hip bars and restaurants on the Ossington strip, BMO Field, The CNE, Liberty Village and more. Whatever your scene is, it’s right there waiting for you. Your style. Your neighbourhood. Your life. That’s The Point. to receive incentives and best suite selection. Building on the success of 30 Ordnance, the same process for the balance of the lands is underway; a 3 parcel, 2.1 acre site within the overall triangle lands. This second phase of the master plan consists of 3 towers, including a landmark tower at 49 storeys. Working with our award-winning design team, including David Pontarini of Hariri Pontarini Architects, Tom Kerwin of Chicago-based bKL Architecture, and landscape architect Claude Cormier, Diamondcorp has incorporated a thoughtful urban design approach and architectural excellence into the entire project: all towers will meet the City’s tower separation requirements, the form of the towers will exhibit high-quality architecture, and the base buildings will animate the street and provide for a comfortable, inviting pedestrian environment. Strachan Avenue will be transformed into an urban and active street forming a significant retail hub while providing an inviting retail promenade that extends to new cafes and patios lining Ordnance Street. Once complete, Garrison Point Condos will be an exciting new mixed use community where new residents can live, work and shop with the conveniences of daily city living, and at the same time, play in an urban backyard right outside their front door.